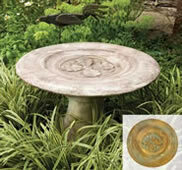 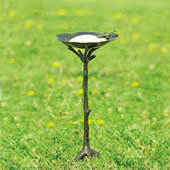 Add one of our beautiful bird baths to your garden or courtyard to create an enticing new hotspot for your feathered friends to congregate. 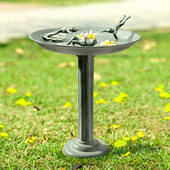 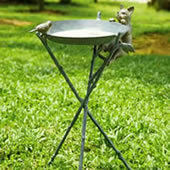 AllSculptures.com offers a wonderful selection of traditional and contemporary bird baths, cast in a variety of durable materials such as aluminum, lost wax bronze, faux stone and more. 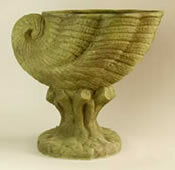 Many are available in your choice of several weather-safe finishes, and can be paired with our outdoor sculptures and fountains to create a stylish and welcoming atmosphere.